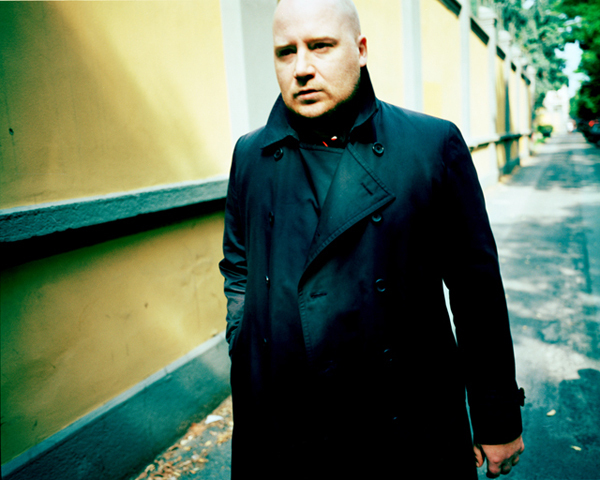 Jóhann Jóhannsson´s stately, slow-building and hauntingly melodic music, which frequently combines electronics with classical orchestrations, has been quietly bewitching listeners since he released his first genre defining solo record Englabörn in 2002 on the well respected British label Touch. The record was re-released in 2007 by 4AD, by which time its reputation had grown as an influential recording in the burgeoning field that has been variously called post-classsical or neo-classical. Englabörn was written for string quartet, percussion and electronics, and Jóhann’s second album, Virthulegu Forsetar (2004), for brass ensemble, drones and percussion. Both releases met substantial critical acclaim, whilst his third album and his first for 4AD, IBM 1401 - A User's Manual (2006), was his most ambitiously orchestrated composition to date involving a 60 piece string orchestra and incorporating electronics and original reel-to-reel recordings of music made on a 1960´s IBM 1401 mainframe computer. Jóhann’s most recent album, Fordlandia, was released in November 2008 also on 4AD. Another orchestral album combining complex narrative themes with a sound that expands upon his earlier work while breaking new ground, Fordlandia combines a darkly romantic minimalism and baroque counterpoint with Krautrock, post-rock, glitch electronics and melodies inspired by North European folk music. Although mostly instrumental, Jóhann´s work often involves complex narratives, which often deal with man´s relationship with the world of machines and decaying and obsolete technology. Jóhann’s many projects include the all-analog Apparat Organ Quartet and Kitchen Motors, the art organization/think tank/record label which specializes in instigating collaborations and art projects across diverse artforms. Jóhann is also an award-winning film composer with 8 international feature film credits to his name. He is a prolific collaborator, having worked and performed with artists such as Marc Almond, Barry Adamson, Pan Sonic, The Hafler Trio, Jaki Liebezeit, Laetitia Sadier, David Tibet, Baby Dee, Larsen and many more. Jóhann is also an accomplished composer for contemporary dance and theater. His acclaimed collaborations with the internationally renowned choreographer and dancer Erna Omarsdottir, “IBM 1401, a user’s manual” (2002), and “Mysteries of Love” (2005), have been performed widely across Europe.